Two of the Jerwood Compton Poetry Fellows have been talking about what Freedom means to them for National Poetry Day 2017, which takes place on 28 September. Jane Commane and Jackie Hagan were announced as the inaugural Jerwood Compton Poetry Fellows in June, along with Raymond Antrobus. The year-long Fellowships invest in the process and practice of making poetry, rewarding individuals who are making, or are capable of making, a significant contribution to a community of poetry. A distinctive part of the Fellowships is that they provide an open space for poetic practice, with no expectation of published work or performed events as a result of the award. Over the Fellowship year, the poets also have access to mentors and critical friends to help realise their vision, as they develop and enhance their practice. Originally from Coventry and now based in Warwickshire, Jane Commane is a page poet and editor whose work interrogates the complexities of class, ideas of place and identity, and examines the current troubled climate of austerity Britain. 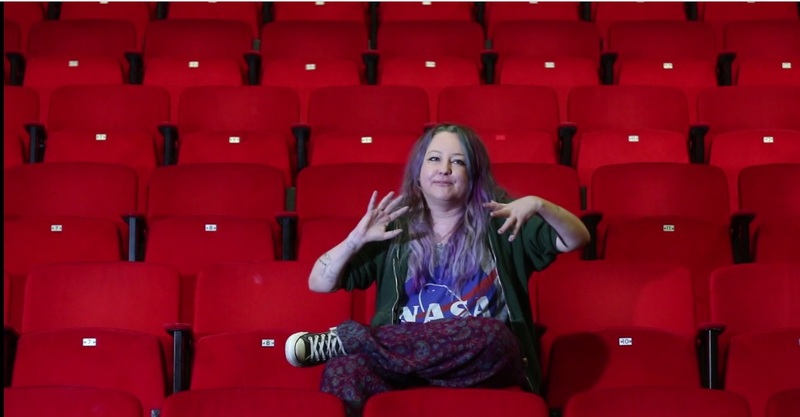 Manchester-based page and performance poet Jackie Hagan uses a range of techniques, including puppetry and humour, to reach audiences who ordinarily might not engage, and to bring down barriers around people’s otherness, championing oddness and confronting prejudice. Listen to the poets speaking on of their works and talking about Freedom here in the top banner of the page. Born in Hackney, East London, page and spoken word poet Raymond Antrobus explores deafness, diaspora and language (oral, written and sign) which fuses with his practice as a teacher of performance and creative writing. The three are the first of three cohorts of poets, the initiative will award three bursaries biennially for three editions between 2017 and 2022.